Intelligent PERFORMANCE—All Explorers have newly optimized linearity andrepeatability specifications and enhanced vibration filtering for better balance stability.All models also come standard with AutoCal™ automatic internal calibration. 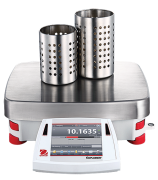 3×3 filteringsetup ensures fast and stable weighing results. The Explorer EX…/E models additionallyoffer traditional external calibration. These combined enhancements improve accuracy,efficiency, and throughput. Ingenious DESIGN—The base and display separate for maximum flexibility in anywork area. Draftshield models isolate the weighing chamber to enhance stability andspeed results while offering maximum accessibility to the weighing chamber throughtop-mounted side doors or through the versatile top door that flips or slides open.Hands-free entry is available with optional automated side doors. SKU: explorer. Categories: Balances, OHaus. AutoCal™ ensures performance and assists with routine maintenance by automatically calibrating the balance daily. 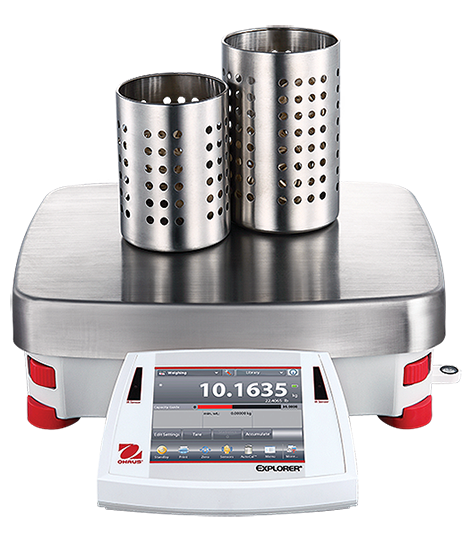 In addition to AutoCal™ models, external calibration models are now available to offer a classic alternative for those that prefer traditional calibration methods. The Explorer series now includes three high-capacity precision models with capacities up to 35 kg. Explorer high-capacity balances offer the same intuitive features, such as AutoCal™ and a 1 second stabilization timewith attributes to support higher capacity weighing applications. Ample access to the weighing chamber through top-mounted side doors or through the versatile top door that flips or slides open. Select models feature motorized side doors that open and close automatically with use of the touchless sensors on the base and display.